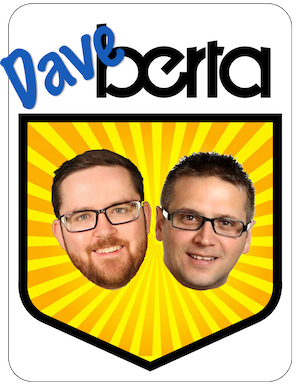 One year ago today the NDP won in Alberta. The next day hell froze over. The attention of most Albertans this week is rightfully focused on the wildfires that are raging through northern Alberta and the more than 80,000 residents of Fort McMurray who have fled to safer ground in the south. It is a testament to our resilience as Canadians that a mandatory evacuation order could be carried out in a community of 80,000 people without any violence or resistance. Overshadowed by the wildfires, and rightfully so, is today’s anniversary of the major political earthquake that reshaped our province over the past year. 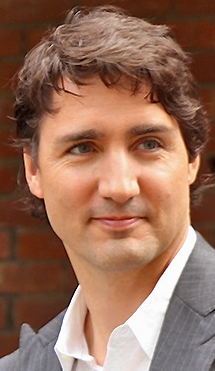 On May 5, 2015, Albertans turned their backs on the Progressive Conservative regime that had governed since Peter Lougheed won in 1971 and replaced the old guard with a choice that would have been unbelievable in previous elections, the New Democratic Party. It wasn’t always a forgone conclusion that Albertans would elect an NDP government. At points during last year’s campaign. Two polls released days before the writ was dropped showed the governing PCs and official opposition Wildrose Party in a race for first place with the NDP in a distant third. Disillusionment with an arrogant and entitled PC regime that had squandered the last oil boom and the pitch-perfect campaign led by Rachel Notley’s NDP resulted in a majority government. Those election results exposed a demographic shift, including a split between urban and rural Alberta. The NDP elected most of their 54 MLAs in Alberta’s fast-growing urban areas and central and northern rural Alberta. 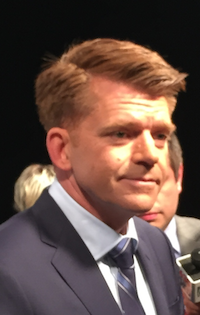 The Wildrose Party, led by former Member of Parliament Brian Jean won back most of the seats lost in the 2014 floor-crossings and made gains in rural Alberta. Jim Prentice‘s Tories earned 27 percent of the vote but fell victim to the first-past-the-post system and only elected 10 MLAs. 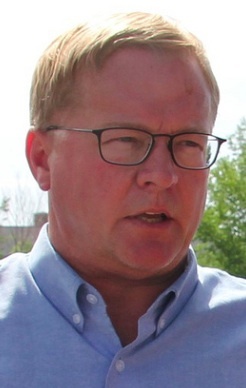 The Alberta Party elected its first MLA, leader Greg Clark in Calgary-Elbow, and the Liberals were reduced to one MLA, interim leader David Swann in Calgary-Mountain View. 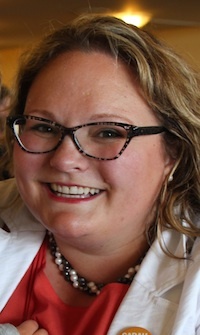 May 5, 2015 saw the election of the a record number of women, including nearly half of the MLAs in the newly minted NDP caucus. The soon to be appointed provincial cabinet would have gender parity, a first in Canada. A contingent of under-30 MLAs were elected, bringing a new sense of diversity into the stodgy Legislative Assembly. Openly gay and lesbian MLAs were elected. And soon after, expecting and new mothers would become a common sight on the floor of the Assembly. 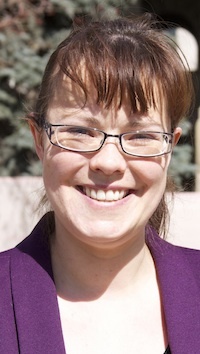 Our Legislative Assembly felt more reflective of Alberta than it had in previous years. The tone of government had changed. The NDP banned corporate donations to political parties, a move that would never have happened under the corporate-donation fuelled PC Party. The new government not only admitted it believed in Climate Change, it also announced plans to do something about it. The NDP introduced a progressive income tax system and raised corporate taxes. They also reinstated funding to education, health care and post-secondary education that was cut by the PCs in their pre-election budget. 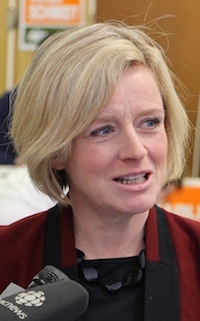 Smart, articulate, tough and quick on her feet, Ms. Notley has proven to be the government’s greatest asset. 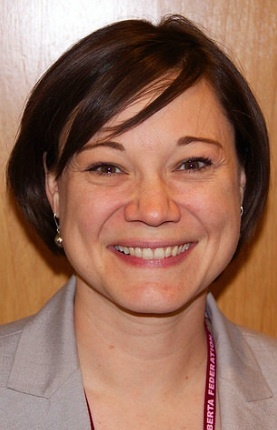 The senior cabinet ministers surrounding her, Sarah Hoffman, Danielle Larivee, Shannon Phillips, Kathleen Ganley, David Eggen, Deron Bilous, Joe Ceci and Brian Mason, to name a few, have developed into a stronger team over the past year. 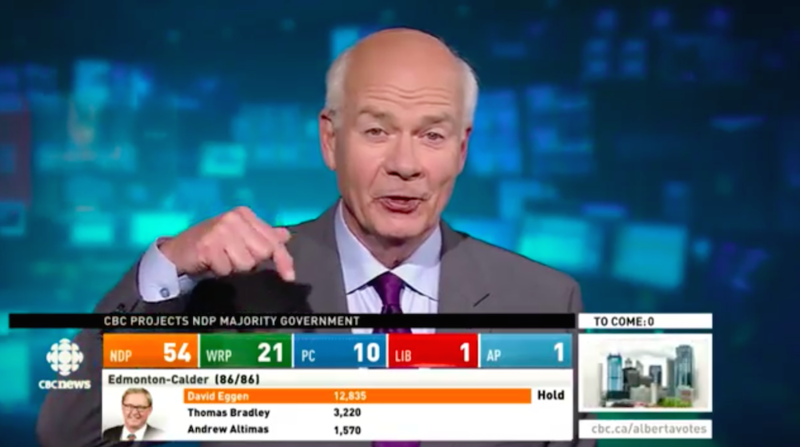 CBC National News Anchor Peter Mansbridge reacts to the results of Alberta’s 2015 provincial election. ‘Getting off the royalty rollercoaster’ by fixing a revenue system that was over-reliant on natural resource royalties to fund the government’s operations budget is a central theme of the new government. A sharp decline in the international price of oil meant the new government faced higher private sector unemployment and decreased activity in the oil industry in our province. The Alberta Advantage, a myth spun by conservative politicians and pundits over the past twenty years quickly turned into a disadvantage. The low taxes boasted by the previous government turned into a disadvantage when the price of oil dropped and left the province with a $10 billion shortfall in revenue. 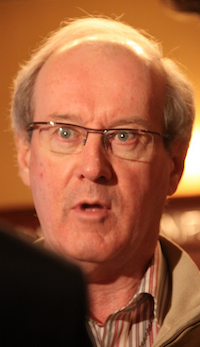 Instead of slashing the budget, as the conservative opposition parties would have done, the NDP looked for outside advice from former Bank of Canada Governor David Dodge. The budget tabled by Mr. Ceci included investments in infrastructure while keeping operating funding steady to avoid major service cuts and job losses that would increase the province’s unemployment levels. The NDP plan focuses on stability and job creation but it is yet to be seen whether those large deficits will be embraced by Albertans at the next election. The future of this government, like the PC government before it, may ultimately depend on the international price of oil. The optimism of the new government masked a certain naivety. Transitioning into the role of government has been challenging. The transition from a 4-MLA opposition caucus to majority government led the NDP to import senior political staff from across Canada, including those with experience working in Ottawa and for NDP governments in Saskatchewan, Manitoba and Nova Scotia. The rushed introduction of new farm safety laws made the NDP look as if they were more interested in dragging rural communities into the 21st century rather than leading them in that direction. 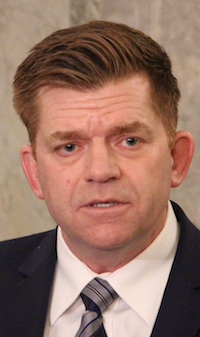 Like something out of the 1950s, Wildrose MLAs and conservative newspaper columnists have become prone to red-baiting, accusing Alberta’s NDP government of holding communist or socialist sympathies. While some individual NDP MLAs have self-identified as socialists, the reality is the new government has been quite moderate and even small-c conservative at times. Ms. Notley has become one of Canada’s strongest advocates for oil pipelines and the NDP even decreased the small business tax from 3 percent to 2 percent in the recent budget. Days before last year’s election I asked the question, ‘how bad would Alberta’s conservatives need to screw up for Albertans to elect an NDP government.’ We found out on May 5, 2015. 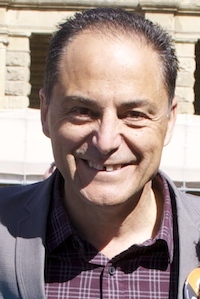 The NDP had been elected in Alberta. Hell had frozen over. On the morning of May 6, 2015, Albertans woke up to a new government and an unwelcome spring snowstorm. Today, as most Albertans focus on wildfires instead of politics, we can only hope for a repeat of that snowstorm to put an end to the fires ravaging Fort McMurray. The governments of Alberta and Canada will be matching individual donations made to the Canadian Red Cross Alberta Fires Emergency Appeal to help the people impacted by the Fort McMurray wildfire. Click here to donate. This entry was posted in Alberta Politics and tagged Alberta Budget, Alberta Election 2015, Alberta Fires Emergency Appeal, Alberta NDP, Alberta Progressive Conservative Party, Brian Jean, Brian Mason, Canadian Red Cross, Danielle Larivee, David Dodge, David Eggen, David Swann, Deron Bilous, Donate, Farm Safety Laws, Fort McMurray, Greg Clark, Jim Prentice, Joe Ceci, Kathleen Ganley, Oil Pipelines, Peter Lougheed, Rachel Notley, Sarah Hoffman, Shannon Phillips, Wildfires, Wildrose Party on May 5, 2016 by Dave Cournoyer.